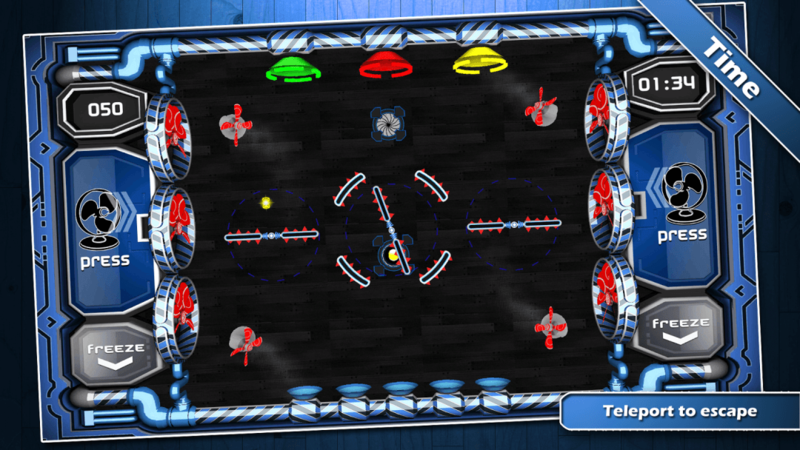 Description: Airo Ball HD is a unique puzzle/strategy game. Your objective is to safely guide multiple coloured balls to their correct destinations by avoiding various obstructions scattered around the middle which destroy the ball on impact. The ball floats up itself and gradually increases speed as the level progresses.You will have to use strategy along with quick thinking skill to avoid hitting the obstructions and guiding the ball safely. The levels will become harder and the target score will increase as you progress through the game. Every level requires a unique strategy, activate the fans and control the ball movement to stay clear of the obstructions, freeze the ball for a short while along the way and give it a speed boost to pass through quickly. The choice is entirely yours which ever approach you take, use a mixture of all to reach the goal. And don’t forget to collect bonus items to complete levels faster and earn more points.